Light rain expected for Muscat today! I know we keep saying this, but maybe this time it might be true? The Met Office in Oman has announced that Muscat could experience some light rain today. In a statement, the weather experts said: "Muscat is likely to receive light rain during the day, while other parts of Oman may see moderate rain. The sea is expected to remain moderate along the Musandam coast. Wave height in Musandam is expected to be 1.5m and 1.25m in the Arabian Sea." The weather has been looking a little more overcast than beautiful blue skies recently, but that could just be haze! The office also added that temperatures are likely to dip again, which would be nice because I don't think any of us are finished with winter yet! 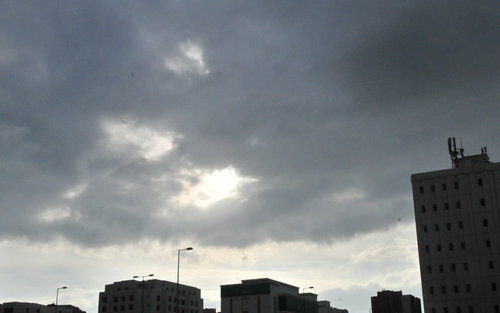 Temperatures are expected to drop by 4ºc in Muscat, and 5ºc to 8ºc in the mountains and deserts.